Modern urban homes. Historic surroundings. 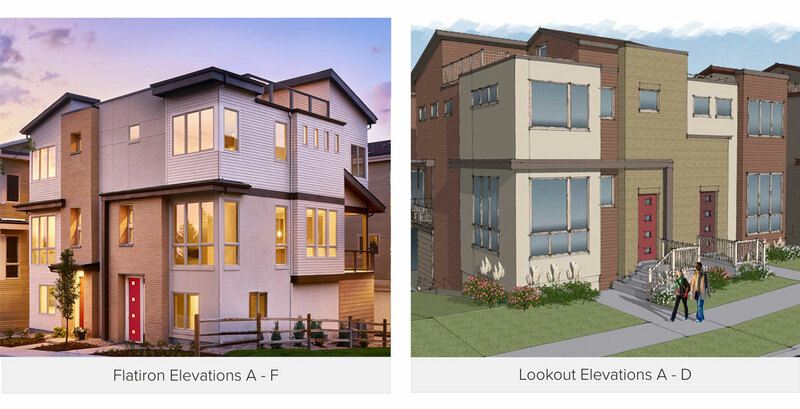 From single-family designs to attached rowhomes to golf villas, Koelbel Urban Homes invites the outside in with contemporary floorplans and the best in urban thinking. Expect flex spaces, outdoor rooms and smart storage. Choose from mid-century modern, prairie and craftsman architecture built with sustainability and energy efficiency in mind. At completion, 5390’ will be a community of 51 homes, each with living areas spanning approximately 1,800 to 3,200 square feet. Homeowners can expand that range with finished basements. This is the modern spin on golf course living, without the isolation of the suburbs. Front and center is the historic El Jebel Shrine, soon to be renovated into stylish condos. Much of the iconic façade and interior detail will be preserved as the grand building transitions into living units.